Walking The One True Path: What Is The One True Path? Since I started to write this blog, I have been pouring out many of my inner most thoughts and feelings. Until I had commenced the process of writing, I really had no clear vision of what it was that I was trying to accomplish or the direction that my writing would take. All I knew was that I wanted to begin writing and to see where it would lead me. 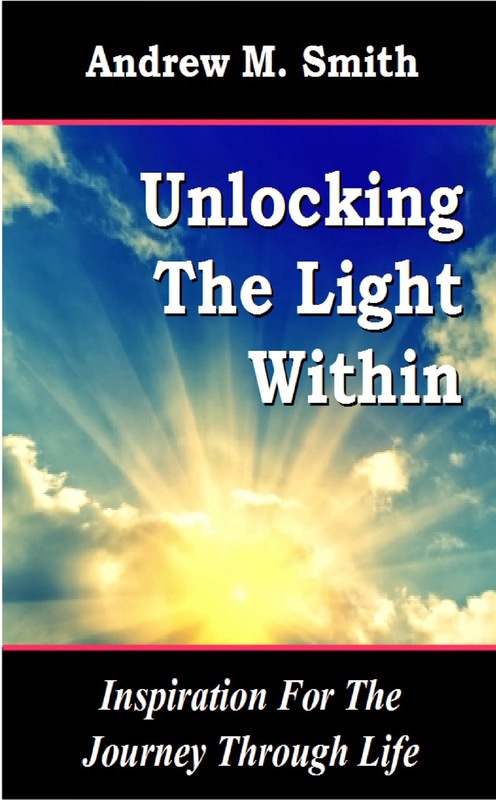 I've written previously that when I write, I connect with my inner most self and every word comes directly from my heart, from the very essence of my being. As this connection has occurred, I have begun to release some of the thoughts and ideas that have, until now, resided only inside of me as abstract and not necessarily coherent thoughts. The process of writing has fused many of these ideas together. One such idea is that of the one true path. The concept of the one true path is not a new one and I do not seek to lay claim to it. It is a term that repeatedly emerges in my writing and it therefore lies right at the heart of the matter. Following your heart and walking the one true path are for me, interchangeable terms. When you walk the one true path, you are living out your heart's desire. You are turning your dreams in to your waking reality. You are following the path that lies at the very root of your soul. The one true path is the way of life that represents your soul. It is the true you. Each of us has one true path in life. It is that which causes the heart to sing out loud with pure joy, when it enters our thoughts. When you are walking your one true path, then you are in complete harmony with your heart. Everything that you manifest in your physical life becomes completely synchronised with your spiritual being. You truly become one. And in the moment that you discover this feeling of oneness, you will find the feelings of peace, tranquility, happiness, joy and love, that come to those that are walking their one true path in life. The feelings come from knowing that what you are doing in your every waking moment, you are doing because it is what you truly want to do, that you were the architect of the life that you have created for yourself. That you are fulfilling your true life purpose. Simply put, that you have achieved your dreams. To go in search of your one true path is the greatest gift that you can give to yourself. By doing so, you are not only giving yourself the gift of love, you are projecting love back into the universe. As we reap, so do we sow. Although I use the term one true path, that does not necessarily mean that there is only ever going to be one single perfect dream for you to pursue. As with all of life, every thing changes, and so it may be that your dreams change too. What you set out to achieve might have been accomplished, or it was not as you imagined it would be when you arrived. Then it is necessary to move on to the next dream. If you look behind you, you will see one path leading back and away from you into your past life. If you look ahead, then you will see a single path leading onwards into the distance where it disappears in to a veil of mist. The path never changes and there can never be more than one path. It is always, and forever will be, your own path. As such, it will lead you wherever your heart wills. Take a moment and imagine for yourself a path that leads ever winding through the trees of a dark forest. You have never walked this path before, you are not sure where it leads, and you don't have a map to show you the way. All you know is that you must continue on the path in order to reach your destination. You look ahead, to see where the path is going to lead and, although you are able to see a short distance in front of you, quickly the path becomes obscured by the trees and shrouded in the gloom. You have to trust that the path will not lead you astray. You have to walk blindly on, never knowing for certain if you are going in the right direction. Each step leads you further into the forest, each step takes you further away from where you have come from, each step takes your further from what you knew before. But very importantly, each step that you take leads you one step closer to your destination. Walking the one true path is like this. You can never know exactly where it will lead you, all you know is that it instinctively feels right, because your heart tells you so. It is difficult to describe when you know that a decision to be taken is the right one, or that the path you are on is the true one for you. From my own experiences, I can only say that the feelings well up from deep within the core of your being. You can feel a joy and an uplifting in your heart. Instinctively and without conscious thought, you know that it is right. I can think of two significant occurrences when I have needed to take a decision that would alter the course of my life and propel me forward towards achieving my dreams, even if I did not know that at the time. The first, I have described previously and involved making the decision to leave my home in England and to move to Budapest. During the day of my decision, I just felt it with every fibre of my being that it was the right decision for me. It was not that I didn't consider anyone else in making the decision, it was simply that the feelings I had were completely overwhelming. I said to myself, "I have to do this" and as soon as I spoke those words to myself, I knew it was the right answer. It was as clear and as logical to me as 1, 2, 3. The second time I was in Krabbe, Thailand and I needed to decide whether to continue travelling with my partner, or whether we should go our separate ways, so that I could pursue my new found passion of scuba diving. Perhaps under different circumstances I would have made a different decision, but given everything that had led up to that point in time, I once again had a very similar overwhelming feeling that I had to choose to follow my passion. It was so strong and undeniable. I had to choose it for me. It felt instinctively right to head back down into Malaysia and to go it alone. There was no other decision I could make. My heart told me so. I was just thinking about how it is when I am at work now, doing the thing that I love to do, and I was trying to think how to describe how it feels to be doing a job that is your passion. The easiest thing to say about it is that when I am at work, I project love. I love what I do, I love being where I am, I love engaging with people and helping them. Everything that I do is done with love. That might sound strange but it is the only way I can describe it. I gave myself the ultimate gift by choosing to follow my dream and to walk my own one true path. The gift is love and so the love flows out of my and into everything that I do, when I am doing the thing that I love. Perhaps it is easier to imagine how it feels when you are preparing a surprise or doing something for that someone special that you love. You put the love that you feel for that person into the thing that you are doing. The way you might wrap a present, the way you prepare and cook a dinner, the message that you write inside of a card. You inject the love that you feel into what you do for them. That is the best way I can describe it. If someone were to ask me how do you know when you are on your one true path? I would ask them to tell me how they know when they are in love? The answer is simply that you just know it. You know it from deep inside of your heart, you feel it with every fibre of your soul. You live it and you breath it. The one true path is exactly the same, because following the one true path is an act of love. There is something else too. When you are walking your one true path, the happiness that you feel runs incredibly deep within you. It allows you to overcome obstacles and deal with problems that may have caused a major upset in your old life. The happiness that you feel is so empowering it feels as though nothing can touch it. It is not some short lived moment of happiness that comes from buying something new for yourself for example, it is a deeply entrenched happiness that permeates through everything that you do. Disappointments still occur in your life but you are more easily able to overcome them because what you are doing is your dream and that is more powerful than you can possibly imagine. Even if you have a momentary feeling of disappointment or sadness, it will be swept aside by the power that comes from following your heart. Discovering your one true path in life is not the end of the journey, for the journey can never end. Finding your one true path marks the beginning of a life in perfect harmony with your heart. A life full of deep, spiritual meaning and a life full of love. Why would you deny yourself such a life? Awaken your heart for the heart leads us always true. Listen to it, trust it, and never doubt it. Rise to the possibilities of life. Release the power of love. Walk your one true path.